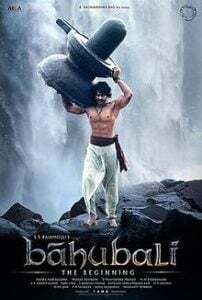 Baahubali is the latest Superhit movie from S.S.Rajamouli which shattered the top Box Office Records of Indian Cinema Industry. It is a production of extensive hardwork from the Cast and all those who were involved in the film shooting. In this post we have speculated One Silly Mistake from a scene everyone were curiously watching but missed out. Do Understand that we are in no way blaming the cast nor the director for this. Obviously it was a Great Film. There were many mistakes but this was the only one worth taking a look at. We just wanted to share with you what we found Interesting. There were many mistakes but this was the only one worth taking a look at. Just this Image below will tell you what we meant. Almost everyone were concentrating on this movie scene. But everyone missed it.